This week's Refresher Friday takes another look at something many of us might be doing this month--writing a synopsis. Aside from queries--and maybe electronic hotel card keys--few things are as frustrating as writing a synopsis. Condensing an entire novel to just a few pages means some things are going to be minimized or even excluded. I've found that approaching a synopsis similarly to how I approach outlining my novel helps me narrow down what to include. A synopsis is written in third person present tense, even if the novel is not. The goal is to show an agent or editor that you know how to plot, and you have a novel that does what a novel should do. Grab a reader, build on conflicts and stakes, and resolve the conflict in a satisfying way. Just like in the novel itself, you want to show your story and make it active, but a certain amount of telling is going to happen just due to the nature of synopses. Don't fret too much if it sounds that way. If it sounds boring, then worry, but as long as the story sounds like something someone would want to read, you're okay. You also want to convey a sense of building doom and escalating trouble, and encourage readers to wonder what happens next. A fun test here is to read your synopsis to someone paragraph by paragraph, stopping each time and asking if your listener feels compelled to know what happens. Let's look at these a little closer and see how they fit into your synopsis. In the book: The opening scene is, of course, the way the book opens. It introduces the protagonist and the world and gives a taste of why this person is different or special enough to ask someone to read about them. In the synopsis: One paragraph usually covers this, summarizing the key points a reader needs to know to understand the character, world, and situation. Without these details, someone couldn't understand the synopsis. For example, if the protagonist happens to have a magical ability to shift pain. In the book: The inciting event is the trigger that sets the rest of the story in motion. It's usually what the query hook is based on, and what you'd find on the back of a cover jacket. In the synopsis: Another paragraph covers this event and why it matters. Motivation is very important in a synopsis, as that shows the story's drive and why these events are important. Don't forget to tell the why as well as the what and how (this goes for the whole synopsis, not just the beginning). In the book: This is when things go horribly, horribly wrong. Your protagonist has just discovered she has a big problem and needs to solve it or else. Typically, this is what happened when she tried to deal with whatever she encountered in the inciting event. In the synopsis: One to two paragraphs on what happens and why it's important. Don't forget your stakes, since this will show how the story problems escalate. She had problem A, but now it's worse and she has to do B. This is a key moment in a synopsis, because it shows you know how to take an idea (the premise and the inciting event setup) and actually turn it into a plot. It's proof you have some plotting skill. In the book: The protagonist has done some digging and found out things are not what they seem. A secret is revealed that makes it clear she's in a bit over her head, but she has no choice but to go on. Or else. (Never forget the or else.) She has to make a tough decision on what to do next. In the synopsis: Unless it's a complicated plot, you can usually get away with one paragraph here. The goal is to show you understand how to get your protagonist through the plot and that choices makes proactive protagonists (which agents and editors like to see). Show how the protagonist is stuck between a rock and hard place, and has to make a difficult choice. Up the stakes yet again. Don't forget why the protagonist need to do this. In the book: Something happens to send the story sideways and gives readers something they weren't expecting. The reader thinks they know where the story is going, but wait! Suddenly it all changes. Midpoints can be anything, but they usually bring something new or unexpected to keep the story moving. In the synopsis: One paragraph here that summarizes the protagonist's world being turned upside down and forcing her to act in a way she swore she never would. Or thought she couldn't. Or sends her off to face the unexpected or unknown. It's how you show an agent or editor that the middle doesn't bog down with "stuff" and that the plot keeps moving and keeps hooking the reader. In the book: This is when it all goes wrong for the protagonist and she has the darkest moment of her life. Her plans have failed, everything looks hopeless, and she probably wants to give up. In the synopsis: One paragraph that shows the event and how the stakes have been raised yet again. This is a good spot to show how the protagonist feels about it all as well, since this will usually show what they're willing to risk to win. It's also a common major step and/or trigger in the character arc. Agents and editors will see from this that you understand how to develop a story and ramp up for an exciting climax and ending. In the book: The protagonist has dragged herself up by sheer will (or encouragement from friends) and is ready (or forced) to face the antagonist. She comes up with a plan to do so. This leads directly into the climax of the novel. In the synopsis: One paragraph usually covers this moment, showing what the climax is going to focus on, what the protagonist expects to happen, and how the stakes are raised again. You want to show that the stakes have escalated, choices and sacrifices have been made to get here, and there's no turning back. This is how the ending starts. In the book: The final showdown with the antagonist. The protagonist has to face off with whomever or whatever has been making her life miserable for 400 pages, and because she's learned XYZ over the course of the book, she wins by a truly stunning and surprising action. In the synopsis: One to two paragraphs that summarize this ending. Don't hold back on the details trying to save it for the novel. You want to show the agent or editor that you can deliver a solid and satisfying ending, and how the story wraps up. This proves you can end a novel in a satisfying way and that this novel is worth reading. In the book: The happily ever after. Or the burning apocalypse if that's your thing. What the protagonist is going to do now that she's saved the day. In the synopsis: One paragraph that ties it all up. If there's a moral or something the protagonist was supposed to learn in the story, this is a good spot to mention it. "Bob learns that trying to out do Jack in tequila shots was a bad idea indeed." It's a good indicator for a strong character arc (in novels that have them), since the wrap up typically shows the protagonist after the growth has fixed her life or made it better. This format will give you a one- to two-page synopsis. If you want a longer synopsis, simply expand on these points, perhaps adding a major subplots as well. A common rule of thumb is to give the same ratio of space to the events in the synopsis as you do the book. So if the opening takes up 5% of the novel, it'll take up 5% of the synopsis. That can show the pacing and flow of the novel. For the first pass, don't try to limit yourself too much to fit those one or two paragraph recommendations. Just write it, even if it's bad and too long, so you know what details you want to include. The goal of the first pass is to get the basic information down, then see how much you have and edit to fit the synopsis size you need. After you figure out what you want to include, then start tweaking. This is where all that practice you did cutting out weak verbs and adverbs comes in handy. You have to say a lot in a limited space, so every sentence needs to be as tight as possible. Once you're done, find someone you trust who knows nothing about the story and have them read it. Ask them to mark where they got confused or didn't understand something. You want readers to be able to follow the story, even if some of the details are unclear. For example, they might not know what a Vexon capacitor is, but they know the bad guy uses it to blow up the hero's home world. Oh, that reminds me...names. The human brain can only remember so much, so be wary about naming everything and everyone. You want the key players mentioned (protagonist, antagonist, major supporting characters), but you want to be wary about throwing in so much it all starts to blend together. Some advice says to use all caps for names the first time they're used, some says all caps for just POV characters, some says don't use all caps at all. This varies by taste, so do what feels right to you, or what the person you're sending the synopsis to prefers (many agents and editors state a preference online). No one is going to reject you for picking one over the other. It's a good idea to let your synopsis sit between readings. Just like your manuscript, time away gives you perspective and lets you spot those awkward sentences you gloss over when you've been reading it over and over. How do you feel about writing a synopsis? Love them? Hate them? In-depth studies in my Skill Builders series include Understanding Conflict (And What It Really Means), and Understanding Show Don't Tell (And Really Getting It). My Foundations of Fiction series includes Planning Your Novel: Ideas and Structure, a self-guided workshop for planning or revising a novel, the companion Planning Your Novel Workbook, Revising Your Novel: First Draft to Finished Draft, your step-by-step guide to revising a novel. 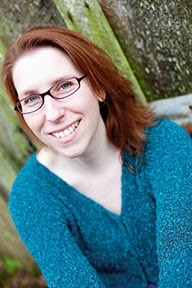 Janice is also the founder of Fiction University, a site dedicated to helping writers improve their craft. Her popular Foundations of Fiction series includes Planning Your Novel: Ideas and Structure, a self-guided workshop for planning or revising a novel, the companion Planning Your Novel Workbook, Revising Your Novel: First Draft to Finished Draft, your step-by-step guide to revising a novel, and her Skill Builders Series, Understanding Show Don't Tell (And Really Getting It), and Understanding Conflict (And What It Really Means). Thanks for this! Much appreciated. Though I wanted to know, what if you had more than one protag? My very first novel had seven POVs (yeah, I was a loon) and trying to do that synopsis was impossible. LOL. There's a reason it never got anything but rejections! Fantastic post (probably the best blog post I've read on the subject). Do you mind if I link to this on my own blog? Seriously awesome post. A great breakdown and I agree w/ Kathleen, probably best post I've read on the subject. Thanks! Size will vary depending on who is asking for it. One to two pages is pretty common is the basic submission package (query, synopsis, sample pages). Sometimes someone will ask for a longer more detailed one. What exactly is the difference between synopsis and outlining? I was taught to start with a synopsis, as that is = outlining. Hans, a synopsis is an overview of the story in a narrative format. Like a summary. An outline is more like the plot points of story broken down into individual pieces, often by chapter. The goal of a synopsis is to give someone the basics of the plot and the tone of the book. The outline is more often a plotting tool used to write the book. Of course, there is also the non-fiction outline, which is an overview, usually by chapter or section, of a non-fiction book. This is used when you send a proposal to an agent/editor. Sometimes you do hear these terms used interchangeably, but those are the basic differences. Exactly! Submission tools are also great plotting tools. I love to use the query and the synopsis to help plan my novels. Yes, Wonderful!!! I like what you did with the book then the synopsis. It made it easy to understand. Thank You. I read somewhere, one page of synopsis to every chapter. What do you think? Robert: Thanks! I came up with this when I was trying to write one myself and kept going long, and then rambling, and then making a mess. But once I figured out how to break it down the synopsis was so much easier to write. I've read that too, but I think that's for a longer detailed outline. I have heard one paragraph per chapter though. But that still can make it long. 1-3 pages is about all most agents ask for these days. Wow, I'm bookmarking this page. Thank you! Thank you, thankyou, THANK YOU! I've been trying to get clarity ont his suubject for months! Hi Janice, I hope you don't mind, but I've written a little bit about this on my blog and posted your link. What a wonderful article for you to post. I know, for one thing, it will help me. this was so wonderfully clear and detailed. I wish I'd read this before I sent out my last synopsis, but I'll use it to revise, and to write my syn for book #2. Thank you! Most welcome! I used to drive myself nuts with synopses, so I finally took the time to figure out a template to make my life easier. Glad to see it also helps others. Just what I need! Thanks. "When a band of Indians attacks, she must defend herself with her karate moves," versus, "When a band of Indians attacks, she defends herself" etc. Stacy Lee, it varies, but I'll do "must do" when it's a goals/stakes issue (like she "must save" her sister when that's the story goal of the novel) and "she does" when it's something she does in the course of the novel. I state the action if it's something she does that affects something else, state the goal if this is something driving her to act. The "must do" tends to indicate what the story is about or where the conflicts come from. The "she does" tends to show more of the inciting event/trigger actions. Most welcome! These things drove me crazy for so long, I had to figure out an easy way to write them. Glad to see it's working for others as well. Thank you, Janice! I've dreaded writing my first novel's synopsis for so long; this breakdown makes it much simpler. And from how you said to "make it as long as you need, then pare down to the main points"--paraphrasing mine--makes more sense in that light, especially w/ a complicated plot like my book has. Appreciate this so much, and I'm looking forward to working on this. This is one of the hardest things I have ever had to do. On my first attempt I failed on every level but on my second attempt I tried a new approach: I found a fellow writer who was really good at it. After she wrote it I gave it to my on-line writers group. They added a layer of critiques, I did a little editing and presto! Synopsis complete. I have zero shame for having others do my work. Awesome! They take practice since they're a different skill set than drafting fiction But they're not too bad once you get the hang of it. Does the synopsis have to be three pages long or only one page? What font is the synopsis in? Different people ask for different things, so it's not a bad idea to have one one-page, and one three-page. Often you see then ask, "send a one to three page synopsis." Any readable font, though Times Roman 12 point is what most folks use.